Before we even get to their opponent, Minnesota has an excellent defensive unit. They are top five in both points and yards allowed. The only thing stopping this defense from being elite is their mid-level takeaway count of eight. But this is an outstanding pick when you couple the value with their opponent, the Baltimore Ravens. The Ravens boast one of the worst offenses in the entire league and have the third most turnovers. 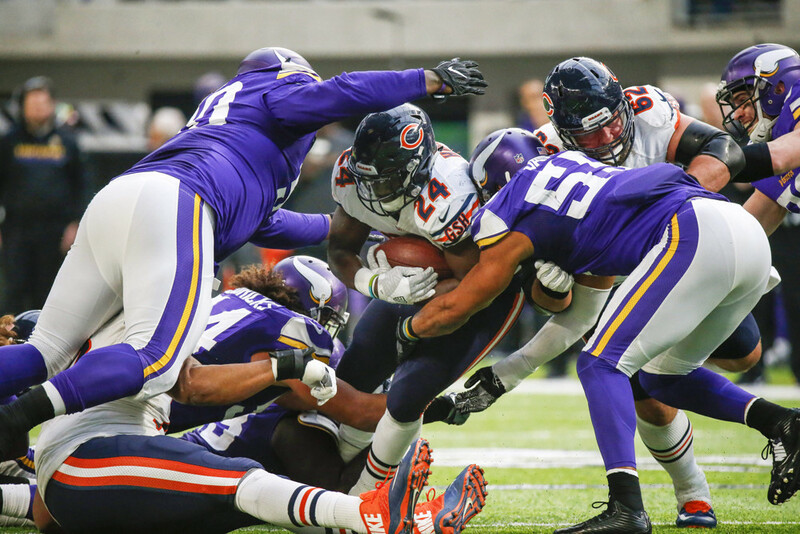 In a game that will go quickly with both teams rushing the ball, I can't suggest the Vikings highly enough. The Saints have come a long way from their beat downs at the hands of the Vikings and Patriots in week 1 and 2. Since that point, they have been the most productive fantasy defense in the league. In the past three games, they have forced 8 turnovers, accumulated 13 sacks and piled on three touchdowns (all last week against the Lions.) Their metrics still aren't great as they give up a lot of yards and points, but they face an overmatched Brett Hundley this week who looked terrible last week. There is bust potential but the Saints make for an excellent streaming choice if you are thin on defense. Year in and year out, the Seahawk's defense is a top 5 unit, and this year is no exception. The Seahawks are still one of the elite defenses in the league, are top 6 in points against, and the legion of boom is as strong as ever. Also, the Giants are very bad. Last week's performance against the Broncos was an aberration and Seattle will effectively stack the box. Look for Eli turnovers and a low Giants point total that powers this defense to a solid score. The Jaguars have been all over the map as a both a defense and a team in general. Defensively, they are forcing turnovers and compiling sacks at elite rates led by their top rated pass defense. But their offense is such a liability that it often leads to extended time on the field for the defense and extra points against. However, you have to like their chances this week against a struggling Colts team. You don't really know what you are going to get with the Jags, but this week's matchup presents a low bust potential with a lot of upside. The Panthers defense have been consistent but unspectacular as a fantasy commodity so far this season. They are the classic case of a team that is much better in real life than in Fantasy Football. The reason for the disparity is turnovers. The team has only forced four all season, leading to underwhelming fantasy outputs. However, this week they face rookie Mitch Trubisky and the one dimensional Bears. There is some fear that Chicago will be able to run on Carolina, but Trubisky will be good for a couple sacks and at least one turnover making Carolina a high floor selection.